Advancements in cosmetic surgery techniques have made the procedures safer, more predictable and more aesthetically appealing over the years. However, the expertise of the operating surgeon still continues to be the single most important factor that impacts the final outcome of a cosmetic procedure. 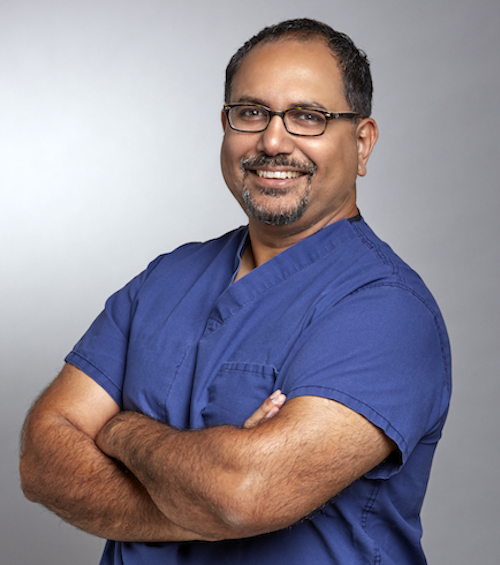 Dr. Amir Nasir is a fellowship trained and board certified plastic surgeon who leads Lotus Cosmetic Surgery, a premier practice in Fairfield County in Connecticut. Dr. Nasir makes use of the latest surgical techniques to perform a wide range of cosmetic procedures for patients in New Haven, Westport, CT, and surrounding communities. Dr. Nasir received his board certification from the prestigious American Board of Plastic Surgery. He completed his advanced fellowship training in Aesthetic and Reconstructive Surgery from Boston University. His enriched academic background includes a Bachelor’s degree in Optical Engineering, a Master’s in Public Health, and an MD from the University of Kansas. Dr. Nasir was among the few physicians chosen for the coveted six-year integrated plastic surgery residency. He has served as Assistant Professor of Plastic and Reconstructive Surgery at a Level 1 Trauma Center in Upstate, NY and at the UConn Health in Farmington, CT where he helped to train the next generation of surgeons. Dr. Nasir holds the unique distinction of having worked as an engineer on the correction for the Hubble Space Telescope prior to joining the field of medicine. He is the recipient of the Outstanding Achievement Award and the Pride in Excellence Award from Ball Aerospace. Dr. Nasir also served for two years in the U.S. Peace Corps in a remote West African village on the Guinea Warm Eradication Program. Dr. Nasir had the opportunity to work with the renowned cosmetic surgeon, author and lecturer Dr. James Lyons, and gain from his rich surgical experience of over three decades. Dr. Nasir is well-versed in all aspects of cosmetic surgery, including breast procedures, body contouring surgery, facial rejuvenation and fat transfer techniques, laser liposuction, and men’s procedures. He also performs all non-surgical in-office injectable procedures himself, and does not delegate these to other members in his team. Patients in New Haven, Westport, CT, and nearby areas have an opportunity to receive personalized care and attention in every procedure from experienced cosmetic surgeon Dr. Nasir. Dr. Nasir believes that each patient’s anatomical and personal aesthetic needs are unique, and can be best served when the cosmetic surgeon customizes a procedure to match with those needs. Therefore, he does not follow a cookie cutter or one size fits all approach to plastic surgery. He will modify the surgical plan to accommodate the patient’s goals and strive to make every procedure less invasive and more targeted. With this customized approach, he is able to create more sustainable, natural looking and aesthetically superior results. A board certification from the American Board of Plastic Surgery automatically reassures a patient that the surgeon would have undergone a minimum of five years of medical training, including at least two years dedicated only to plastic surgery training. This is a critical distinctive qualification of Dr. Nasir.